Reduced emissions underpin a compelling environmental story for Hino at the launch of its all-new Hino 500 Series Standard Cab. “The 500 Series Standard Cab will be the cleanest Japanese-built medium duty truck in Australia, meeting Japan’s stringent post-Post New Long Term (pPNLT) emissions standards, which is equivalent to Euro 6,” said Daniel Petrovski, Hino Australia’s Manager of Product Strategy. “This introduction is before the Australian Government has even finalised legislation to define what its next level of emission regulations will be or when it will be effective. Moreover, as part of its commitment to the Hino Environmental Challenge 2050, Hino aims to reduce the carbon dioxide emissions of its vehicles by 90%. “Hino will work towards this goal by continuing to evolve existing technologies and the development of next-generation products including lower emission diesel, plug-in hybrids, diesel hybrids, electric and fuel cell vehicles,” said Mr Petrovski. “Another target of the Challenge is to produce zero carbon dioxide emissions in the vehicle manufacturing process. 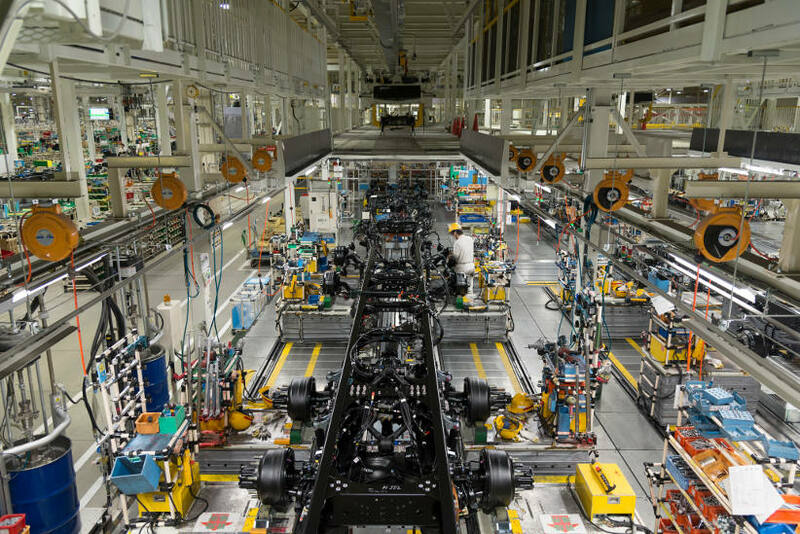 “At our recently built Koga Plant, where the 500 Series Standard Cab is produced, we use cutting-edge technology to reduce energy and water consumption and in doing so reduce the impact on the environment. “Clever measures at the Koga Plant include subterranean heat collection using geothermal heat, rainwater collection for toilet flushing, natural lighting and limiting air conditioning up to 2 metres from the floor. But it is not just on a global scale that Hino is a leader in strategies for environmental impact reduction. In 2007, Hino Australia was the first truck manufacturer in Australia to introduce a hybrid commercial vehicle to the Australian market, the Hino 300 Series Hybrid. According to the Green Truck Partnership case study (a NSW State Government collaboration with industry), a comparison between a light duty diesel commercial vehicle and its hybrid counterpart found that the hybrid version delivered a 21% fuel efficiency benefit relative to the conventional diesel variant. “The amount of greenhouse gas created by the burning fossil fuels is directly impacted by the amount of fuel used – therefore a 21% fuel saving results in a direct 21% reduction in greenhouse gas emissions,” concluded Mr Petrovski.